YES, Derek I’m ready to try Bootcamp for 2 WEEKS for only $1! Step #2- Arrive 15 minutes before your first session to meet your trainers, fill out your bio/waiver, get acclimated and learn your daily warm-up. Step #3- Wear comfortable clothing with athletic sneakers, bring 2 water bottles, 1 towel and a “ready to conquer” attitude to your first session. Specially designed daily warm-ups to properly prepare you for each workout. Register now for only $1…it takes less than 2 minutes! *ONLINE REGISTRATION ONLY. No Payments Accepted on site. No Contract, Cancel Anytime. We stand behind our results 100%. Your success is our success! Please read: I am only looking for people who are ready to thrive, overcome obstacles and get stronger mentally and physically than you ever imagined. I leave no one behind and the only way you will not see results is if you never get started. 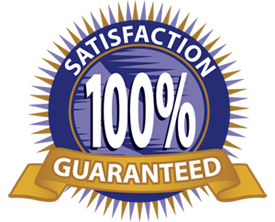 I stand behind my fitness, conditioning and dieting programs and for that reason I offer a 100% satisfaction guarantee.If at anytime you feel you are not the person I described above, simply cancel by going to DerekKuryliw.com/cancel. It’s that easy!